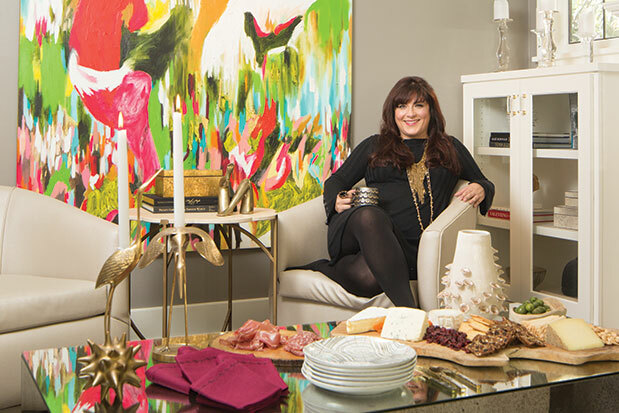 For more information about the fall debut of Crisis and Cocktails, visit kelleymoore.wix.com/kelley-moore. 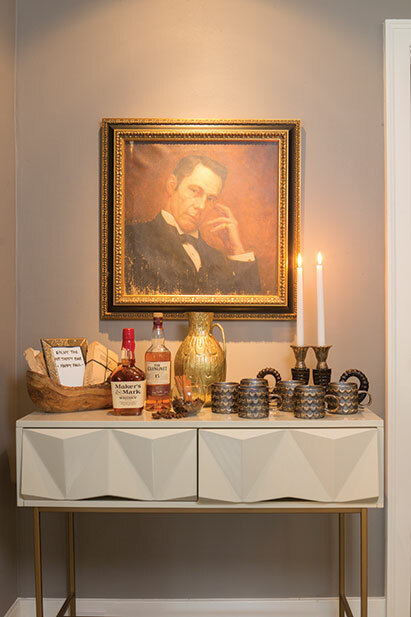 A vintage painting Moore jokingly refers to as the “man of the house” presides over a seasonal hot toddy bar in the living room. 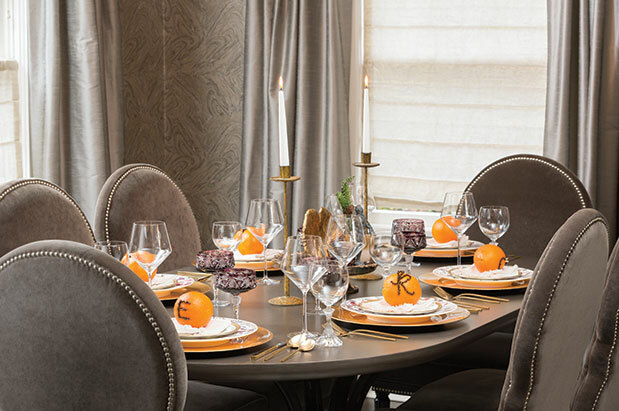 Oranges with initials created out of cloves make for place setting perfection in the dining room.